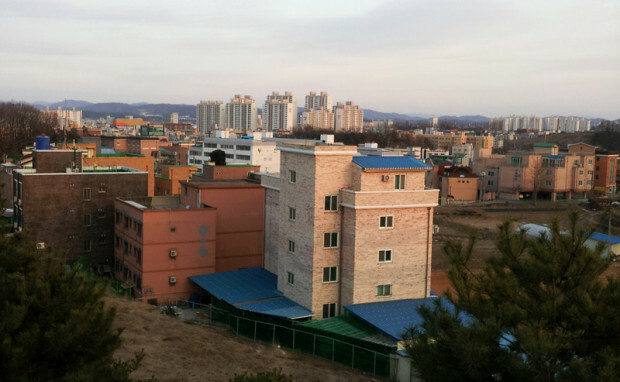 The small city of Jochiwon is home to many foreigners who teach and work in Korea. On July 1st, 2012, Jochiwon joined Sejong City. Before being added to Sejong City, Jochiwon was part of the Chungcheongnamdo (충청남도) Province. Jochiwon is located in the center of South Korea in the northern part of Sejong City. To be more specific, it is located between Daejeon and Cheonan, as well as between Gongju and Cheongju. In Korean, the word “won” has many meanings. Traditionally, when added to the end of a city name, it indicates that the city is a good resting place for travelers. So Jochiwon was traditionally a good place to take a rest while on a journey. Even today, though most people don’t know much about the town, many travelers are familiar with the Jochiwon train station. Nearby Jochiwon there are a few landmarks, including Bear Tree Park, Biamsa (Biam Temple), and Obongsan (Obong mountain). Bear Tree Park is a botanical garden and zoo that has mainly bears; it is a good place for couples to visit. Biamsa is an old temple from the Goryeo kingdom. Goryeo ended in the latter part of the 14th century, so it is a very historical place to visit. Obongsan is a mountain whose name means “five peak mountain.” This is a popular and easy place to go hiking near Jochiwon. Jochiwon and the surrounding area is known for peaches. If you take a walk into the countryside it is easy to find many peach orchards, and every summer, Jochiwon hosts a peach festival. Jochiwon will continue to be an important place in Korean history as it recently became a part of the new government city, Sejong City. For a brief history of Sejong City click here.